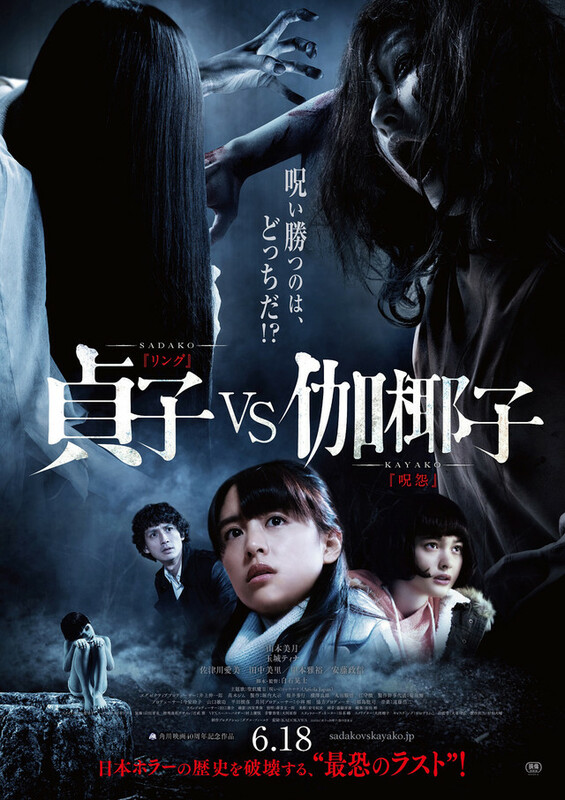 A battle takes place between Sadako, known to jump out of television screens, and the violent Kayako. Sadako character is from the "Ring" horror film series and Kayako is from the "Ju-on" horror film series. Jagd Jun 16 2016 11:59 pm The title sound very stupid -_- is this supposed to be 'scary movie' comedy style? aru May 19 2016 3:08 am So I guess this is the Japanese version of Jason vs Freddie? renektonkun May 07 2016 11:18 am The song in the trailer is Noroi no Shananana by Ariola Japan, said on the trailer. Thank me later. salo Apr 26 2016 6:30 am Wht is the song in the trailer ? AzrulnizamBZ Mar 02 2016 9:35 pm If Junji Ito's Tomie meet Kayako and Sadako, could she survive both of them? I imagine that even she's killed by them, a part of her will survive but all of her future self will carry the curse in their cells. sdf Mar 02 2016 6:38 am Kayako had been played by pretty actress too untill the stupid beginning of the end. Hikari Feb 28 2016 3:48 pm I guess the Japanese are aiming to revive these popular horror icons. This sort of looks a little bit better than "Ju-on: the final". Kayako in this film looks similar to Shimizu's original sketches of the character since both seem have short messy hair. I prefer the long straighten hairstyle of Kayako "like in the grudge 2 for example", but I guess the make-up designers wanted to show differences between kayako's and sadako's appearence cause a lot of people get them mixed up. 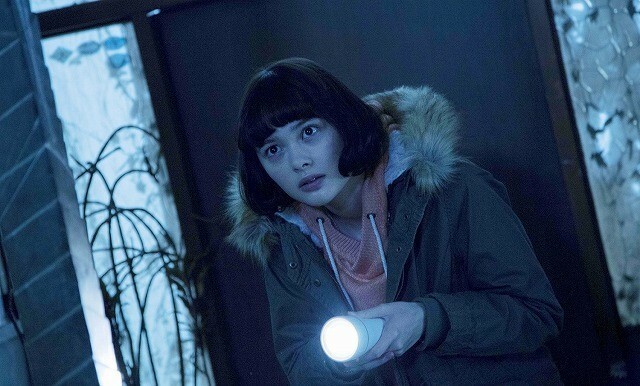 I hope Shimizu directs the next Ju-on film with Takako Fuji. Honestly I can only picture Takako's version of Kayako; she does a really good job being her character. sukma Jan 27 2016 7:16 pm sadako always played by pretty actress but not with kayako that creeping me out. I dnt know how this movie will be but I'm expecting a lot. hooyeah Dec 10 2015 4:20 pm I meant "it's not gonna BE a serious movie" . hooyeah Dec 10 2015 4:16 pm Honto Ni ? I think it's gonna be more of a comedy . Otherwise it's too stupid . And made by one of my favorite director "Koji Shiraishi" . Please please please ... I hope it's not gonna a "serious" movie .